JAMA is a well known House dj from Amsterdam. With his warm electronic sound he grooves the dancefloor for already twelve years from Deep House to Techno. Jama is a skilled DJ with a special eye for the ambiance and the crowd which brings him all over the world. He played in almost every major club in Holland, like Studio 80 (Babylon), Supperclub (resident), Boom Chicago, Escape and Jimmy Woo. JAMA also played at several corporate events like BNN, Google, Endemol, Bacardi and celeb after party’s like Puff Daddy’s & John Legend’s. His special sound brought him to clubs in Thailand, China, Indonesia, Turky, France, England, Italy, Belgium and so on. 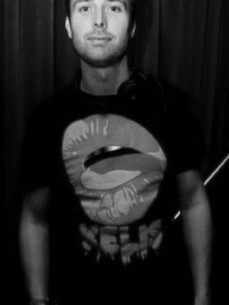 Aside to his DJ career he is a well known party organizer and promoter in the Dutch house and underground scene. Fromout his company Karma Productions he organised several party's like "STAMPPOT", "Babylon", "Queensday @ P.KING" and "De Snoei Club". Over the last years he booked and played alongside legends as DJ Sneak, Carl Cox, Dimitri From Paris, Matthias Tanzmann, SIS, Trickski, Gene Farris and many more.. JAMA is also resident of the well known Supperclub Amsterdam where he plays from lounge to Chicago House. As he quotes; "gigs for the love of music". The past years he has been busy producing tracks and remixes like ‘Kerosine’ & ‘Flamenco’ under his alter ego “Genius Of The Crowd” with partner Franklin Reeves. With gigs in Beijing, Cologne, Birmingham, Barcelona and 'SPACE' Ibiza it has been a smashing electronic year!